Tahoe Sierra Transportation | A private car service in the Truckee, Northstar, Squaw Valley, North Lake Tahoe and South Lake Tahoe area. 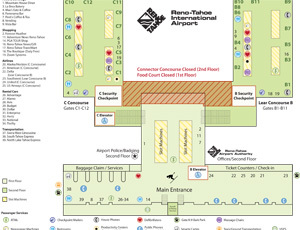 We specialize in trips to and from the Reno airport. 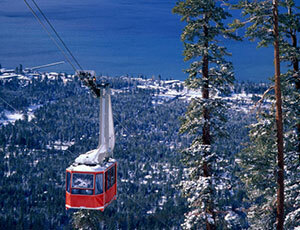 Private car service by reservation in Lake Tahoe. 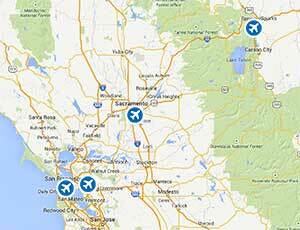 Reno, Sacramento and Bay Area airport transportation. Special events including weddings, conferences and activity shuttles. 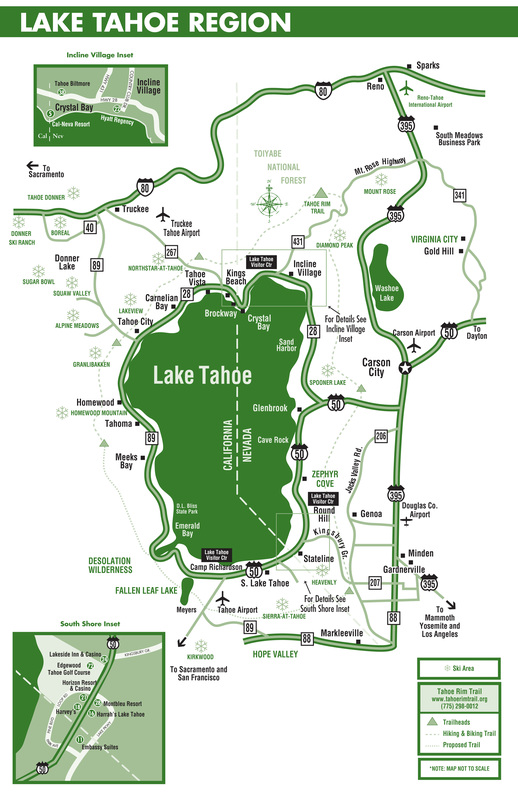 The team at Tahoe Sierra Transportation has over 9 years of experience providing a private car service to residents and visitors of the Lake Tahoe and Truckee area. We specialize in Reno, Sacramento and Bay Area airport transfers and special events including weddings, conferences and activity shuttles. 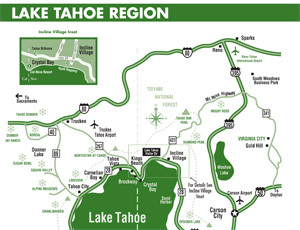 We provide door-to-door transportation by appointment in the Lake Tahoe and Truckee areas. Whether your event is a once-in-a-lifetime Tahoe destination wedding, a business conference or a day on the slopes, our experienced team of local drivers looks forward to sharing our business with you. Available 24 hours every day by appointment, Tahoe Sierra Transportation provides direct door-to-door private car service to your final destination. 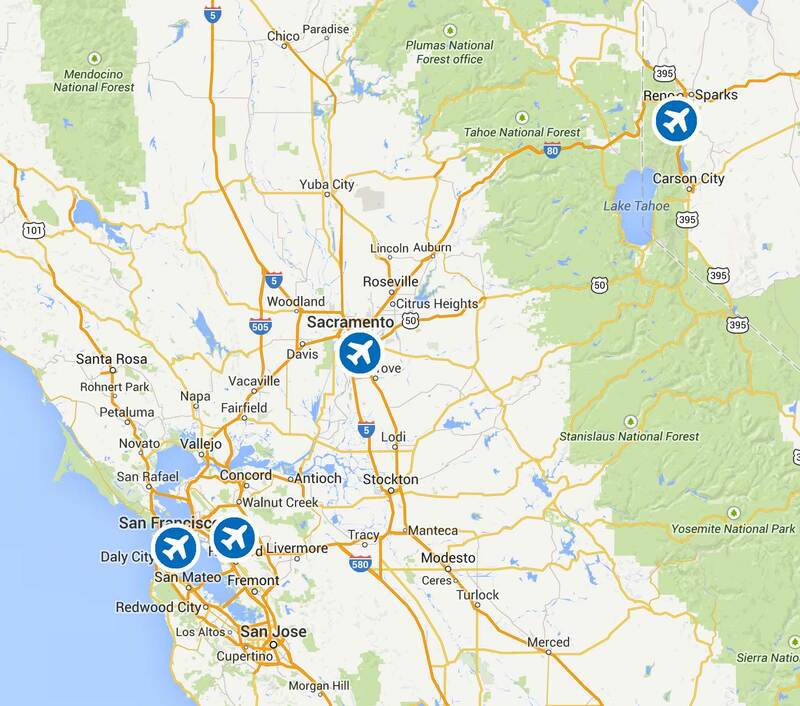 We use a flight tracking system to monitor your actual arrival time and eliminate any wait time for you. You can expect a call or text message from your driver immediately upon your arrival. Tahoe Sierra Transportation is owned and operated by a local pilot who is familiar with all aspects of General Aviation. Our fleet is based at the Truckee Airport and we are the preferred Private Car Service vendor of the Truckee Airport staff. Whether your private arrival will be in a Cessna 150 or a Gulfstream G650, you can be sure that our staff is intimately familiar with the specific needs of our private aviation customers. In winter or unexpected weather, being based on the field at KTRK allows us to be ready for you promptly, even if you are required to divert to KRNO or another airport. Just let us know if you would prefer to meet us on the ramp, at a tie-down area or in your hangar and your driver will be ready when you are. The team at Tahoe Sierra Transportation has over 9 years of experience providing wedding transportation- we understand how critical this element is for you on your Big Day. Our elegant, clean SUVs are the perfect way to transport your wedding party, family or special guests. Our team will ensure timely and efficient transfer to the ceremony, reception and beyond. Many of our wedding customers refer their visiting guests to Tahoe Sierra Transportation for airport transfers and transportation for local outings. 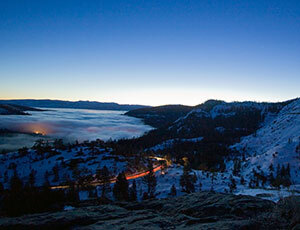 Our drivers' local knowledge of the area will help your guests make the most of their stay here in Tahoe. Brides and wedding planners can add a link to our website on the couple's wedding website, so their guests can easily contact us with their transportation needs. 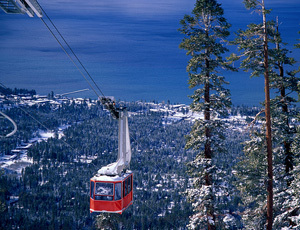 Tahoe is home to a multitude of conferences and incredible outdoor events throughout the seasons. 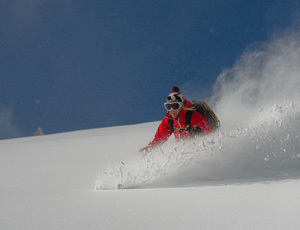 Tahoe Sierra Transportation has been selected as the preferred provider for several of these regular events, including World Cup Champion ski racer Daron Rahlves' Rahlves Banzai Tour and The Shane McConkey Foundation's annual fundraiser. Other events our team has provided transportation services for include SnowFest, Google corporate conferences, Wanderlust and Tough Mudder. Tahoe Sierra Transportation is happy to help you explore the various culinary experiences and outdoor adventures the area has to offer. 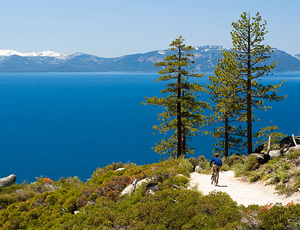 Whether you are skiing, biking, hiking or golfing, Tahoe Sierra Transportation can provide transportation for you and your gear, and make your experience easy and fun. Following your action-packed day, enjoy an evening of wine and exceptional local cuisine at one of the area's popular restaurants and count on us for a safe ride home. 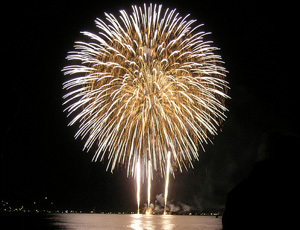 Use TahoesBest.com to find things to do in Lake Tahoe! 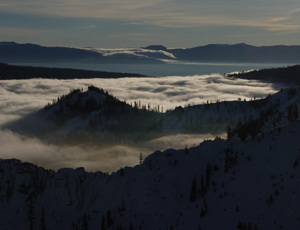 Here in Tahoe we are lucky to experience all four seasons, including challenging winter weather. The combination of 4-wheel drive and studded snow tires allows us to operate safely without having to stop to put on snow chains. All of our vehicles are late model, full size SUVs that allow you to sit back, relax and enjoy the beautiful Tahoe scenery. All the Tahoe Sierra Transportation drivers are licensed, insured and put the safety of their passengers first. In addition, our drivers are always connected to a flight tracking system to ensure pick-up times are spot on- as one of our passengers you will never wait. In addition to being safe and on time, Tahoe Sierra Transportation drivers are a wealth of local knowledge. Do not hesitate to ask them for tips on how to make the most of your stay- Tahoe has much more to offer than what makes it into the tourist books! Our staff is comprised of professionals who are experienced at managing weather conditions and logistics. Tahoe Sierra Transportation was founded by long-time transportation professional and 20 year Truckee resident, Tal Fletcher. Tal started his professional career in transportation as a valet for some of San Francisco's premier restaurants, where he learned the principles of customer service, safety and reliability. As a Bay Area native, Tal spent his weekends driving from the Bay to Tahoe and eventually settled in Truckee in 1993. Recognizing a need for reliable local taxi service, Tal founded Mountain Cab in 2003. 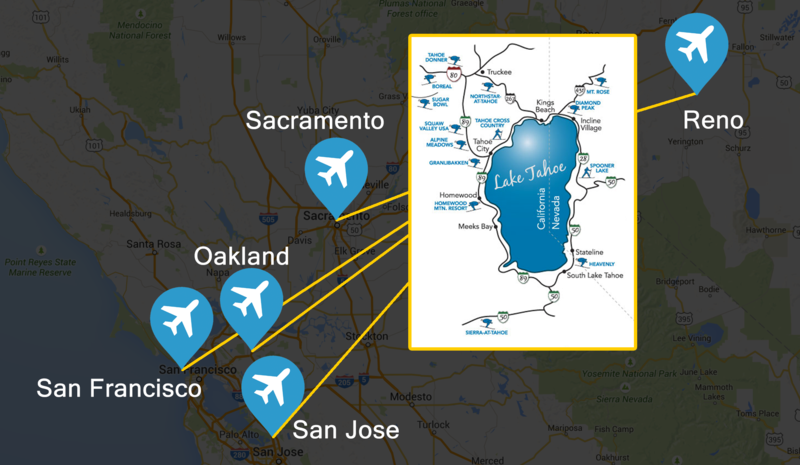 Tal diverged from local taxi and expanded his business to focus on offering a private car service between the North Lake Tahoe area and the Reno airport. In 2006, Tal founded Truckee Tahoe Transportation and quickly became the leader in private car service for resorts, weddings, corporate groups and residents alike. 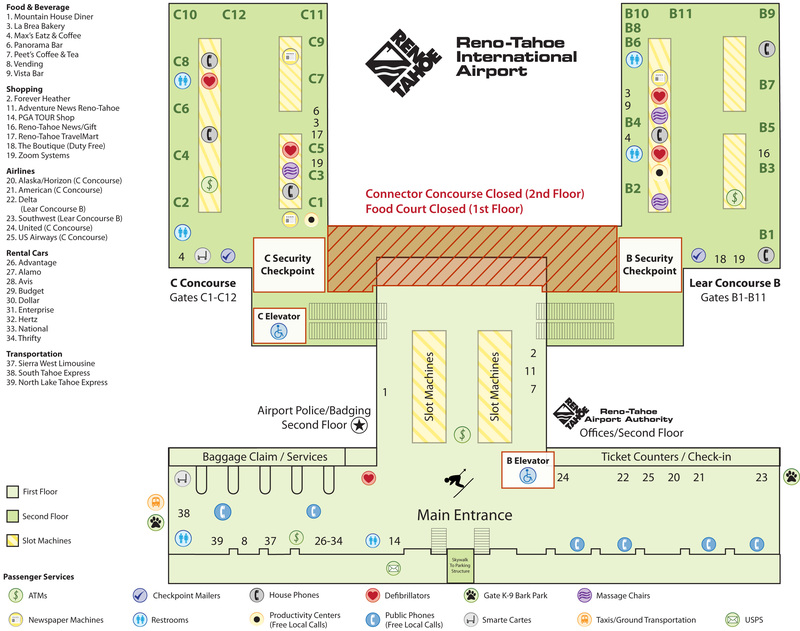 After providing over 10,000 successful Reno airport transfers, Tal stepped away from the transportation business in 2011. 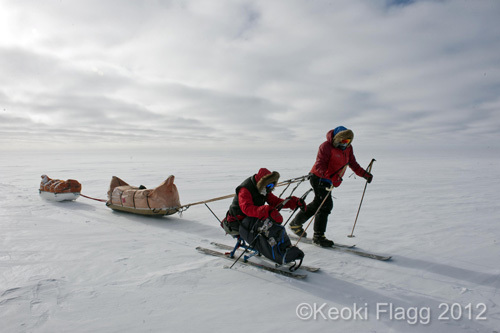 During his sabbatical, Tal acted as Guide and Business Manager for a project which helped an adaptive athlete become the first spinal cord injured person to ski to the South Pole (documentary forthcoming). After their successful mission in early 2012, Tal returned to Truckee with renewed motivation to once again set the standard for safe, reliable transportation in the Truckee/North Lake Tahoe area. Drawing on a decade of transportation and logistics knowledge, and a passion to improve the customer experience, Tal founded Tahoe Sierra Transportation. Tahoe Sierra Transportation draws on industry experience, logistics expertise, customer service and extensive local knowledge to ensure your travel is smooth, reliable and safe. 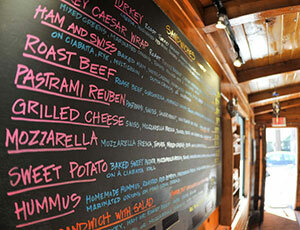 Truckee Donner Chamber of Commerce Member since 2013. FOR RATE QUOTES PLEASE COMPLETE THE RESERVATION REQUEST FORM BELOW AND WE WILL PROVIDE A QUOTE VIA EMAIL OR PHONE WITHIN 24 HOURS. ALTERNATIVELY, FEEL FREE TO EMAIL US DIRECTLY OR CALL OUR OFFICE AT 530-550-5300 BETWEEN 8 AM AND 8 PM PACIFIC TIME REGARDING RATE QUOTES OR ANY GENERAL INQUIRIES: info@tahoesierratransportation.com. Refund amounts for reservations cancelled 24 hours or more prior to the reservation are dependent upon the amount of advanced notice provided. We will always do our best to accommodate reservation change requests. We respect and are committed to protecting your privacy. 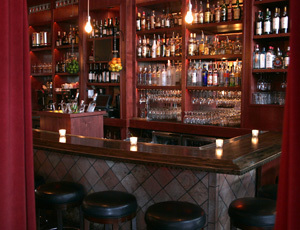 We collect personally identifiable information when you submit a reservation request. We will not sell your personally identifiable information to anyone. Our Secure Sockets Layer (SSL) software is the industry standard and among the best software available today for secure commerce transactions. It encrypts all of your personal information. © Tahoe Sierra Transportation All Rights Reserved.